Our lamb is grown by our family of ranchers. They care for their animals and land with the utmost compassion and consideration. Many are tending third, fourth and fifth generation ranches and they’re aware that their ancestors worked hard to create the land and lifestyle they call home. 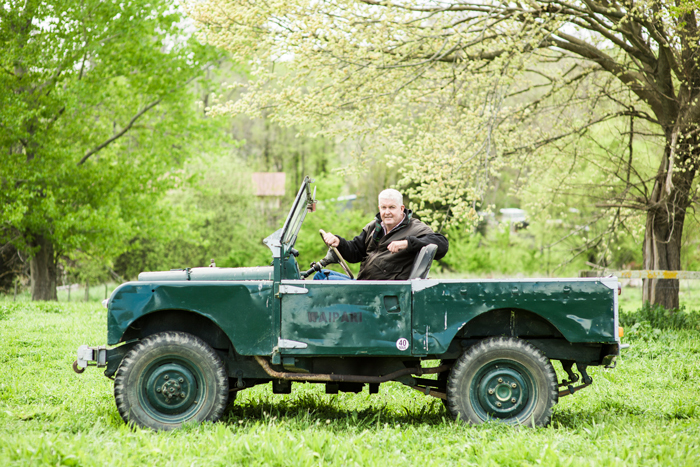 For them, growing high-quality lamb with respect to the natural environment is a way of life and a passion. Our ranchers work with the natural eco systems of their land and aim to keep the environment as pristine as possible. Many of them have set aside areas on their ranches for conservation purposes, focusing on regenerating the land and water. 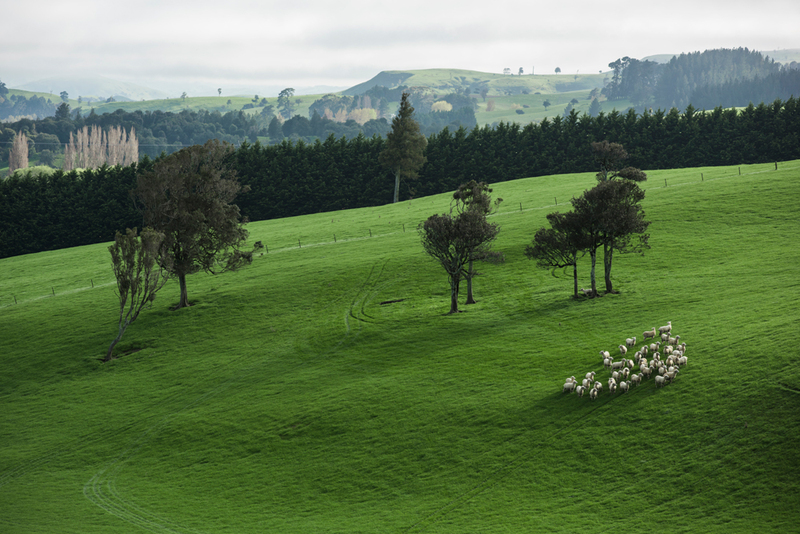 We ensure our lamb is fully traceable from the shelf back to our ranches. 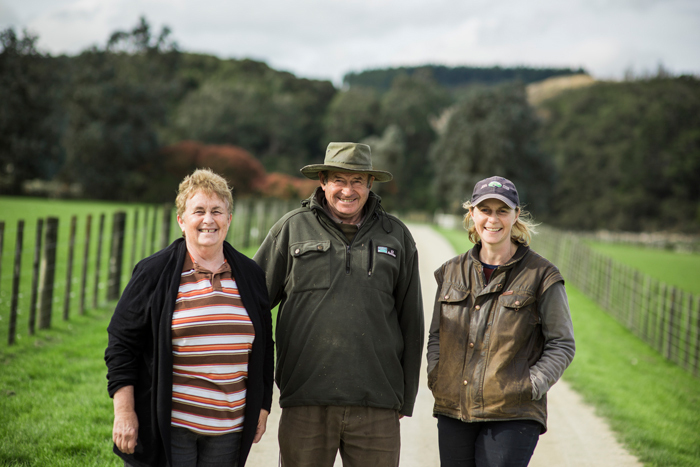 Producing lamb in New Zealand is exciting because now, more than ever, people want to know where their food is coming from. And here, we produce lamb in a guilt-free manner. Our animals are outside for 365 days a year and have access to fresh green pasture, space, sunshine and water. We’ve been with Atkins Ranch since the beginning and have the same passion driving us: producing the best product possible to take to the world. 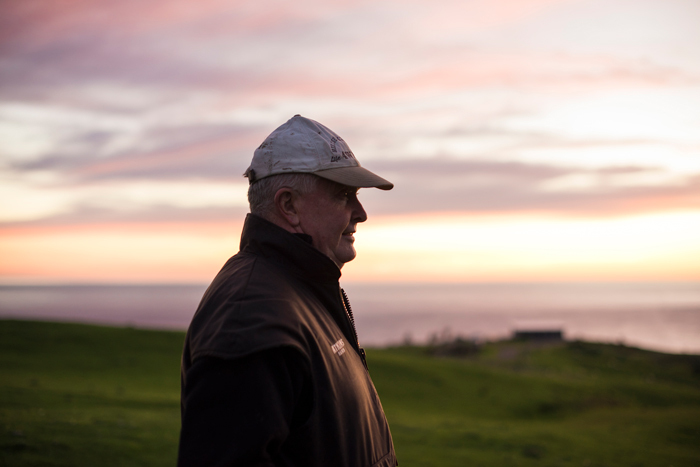 Atkins Ranch started with the desire to make a difference in the lamb industry and we admire that. They focus on quality throughout the supply chain and the result is a premium product. We love knowing where our lamb goes and are privileged it goes in to the homes of families in the USA. We take pride in what we do and consider ourselves lucky to be working the land. 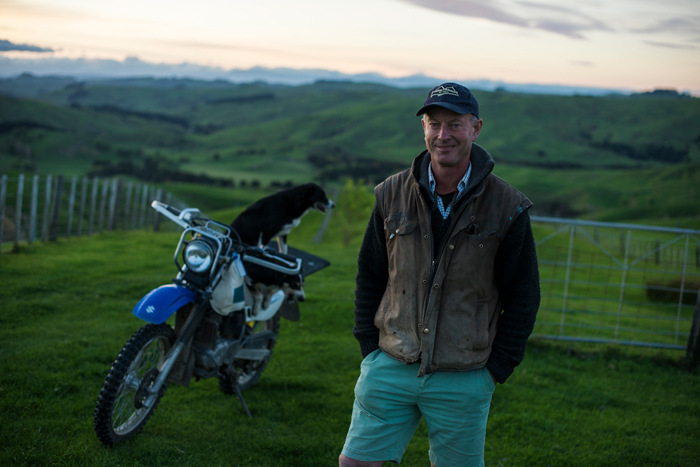 To us ranching is about respecting the land and providing an opportunity for the people in our team to grow. It’s our hope to continue running an operation that’s sustainable financially and environmentally. And create something for our family they can always return to. We’ve been supplying Atkins Ranch for more than 20 years. My great grandfather ran the ranch in the 1930s and 40s, and my father was the rancher from 1975 before I took over in 2008. I knew I had big shoes to fill but never saw it as daunting. It was just heads down, get to work. Now it’s my chance to leave my mark. Katie and I respect this land we work on. We’d like to leave it in better condition than when we arrived. We’re really proud when we look at our animals. Everything’s in beautiful condition. I guess healthy animals raised on grass without antibiotics and GMOs comes naturally to us here in New Zealand. And that goes with the current worldwide push for healthfulness. We’re pretty happy we’re taking our quality product to the world. This land has been in my family for more than 130 years. My Great, Great Grandfather, John Wingate, bought our property in 1883. Working the land is what I know and love; I left school at 16 years old and couldn’t wait to get back to the ranch. It’s a lot of hard work and there are things out of our control, like the weather, that we have to contend with. But it’s extremely rewarding and I wouldn’t do anything else. I want to improve the land we’re looking after and ideally leave it in better condition than how it was when we took it on. We’ve been working with Atkins Ranch since they began in 1989. 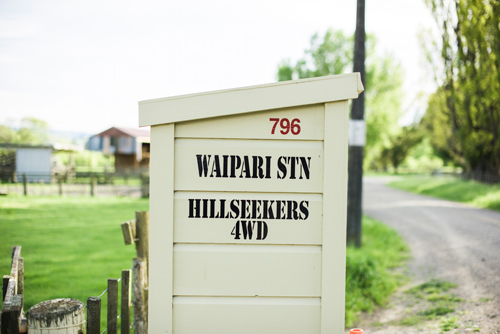 They have a unique approach where they acknowledge the produce right through to the market. 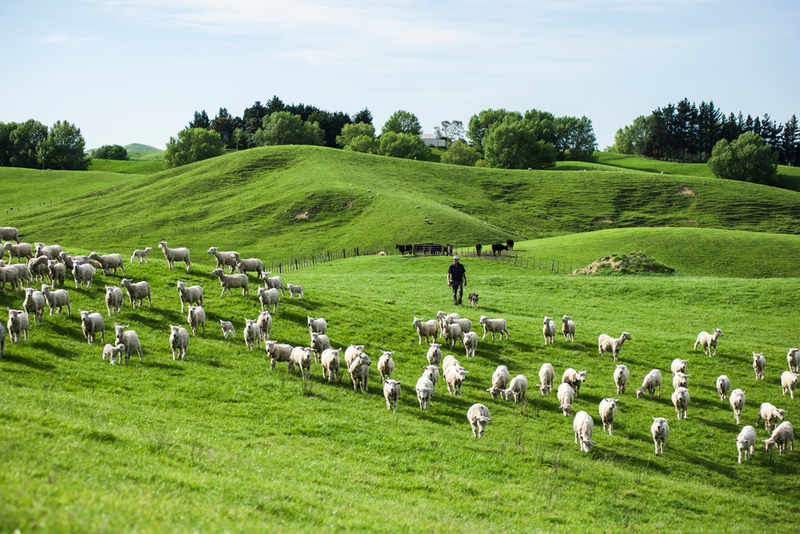 And what we produce in New Zealand is pretty special; clean, grass-fed lamb to the best specifications, that is really tasty. We’ve been supplying lamb to Atkins Ranch for a long while. We love the personal touch, from the small team all the way through to the meat counter and even the cooking demonstrations. It’s an approach that’s really inspirational. 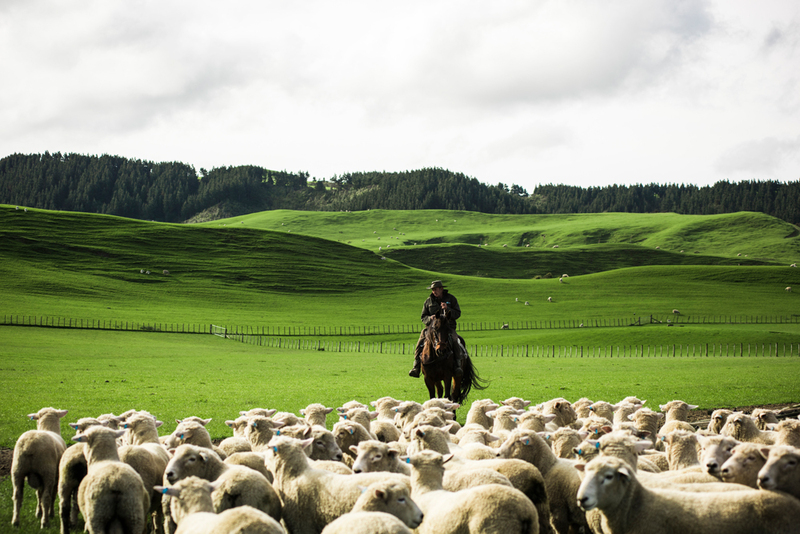 For us, ranching is about both what we sell and our environment. 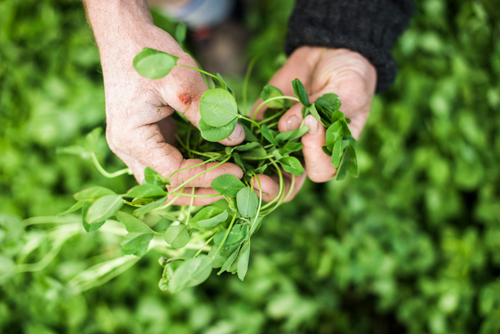 We aim to grow a tasty product and at the same time, enhance biodiversity and the landscape by creating wetlands, planting trees and allowing bush areas to regenerate. We think this is a great story. When people buy Atkins Ranch lamb they know where it came from and how it was produced, and they can feel good about the choice they’ve made. For us, ranching is about solid, honest relationships. We care about family, we work together and we treat everyone as equal. It’s these things that were important to our ancestors, it’s how our family works now and it’s how we work with others. We look to build long-term relationships. 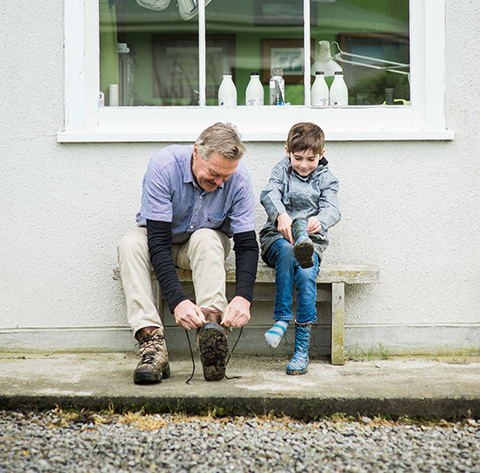 With three generations of Sansons working this ranch together, communication is key. Open discussions are encouraged, egos are discouraged. My 87-year-old father is still an active part of the business, which is decades of experience to draw on. My son Tom is set to take over, so there are a few perspectives on the day-to-day decisions. We trust, we listen, and a little humor gets us through too! We’ve been supplying Atkins Ranch for 10 years and we’re proud of the product we deliver. Getting the best out of our animals is simple really: if you look after them, they’ll look after you. 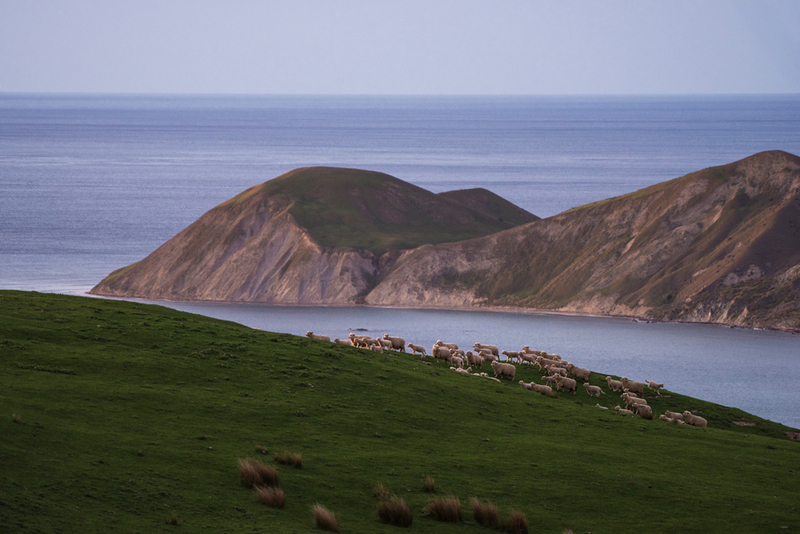 We were the first sheep ranch in the world to receive the Global Animal Partnership Step 4 Certification, which means our animals must live on pasture their entire life and be raised according to strict animal welfare standards. This is something that comes naturally to us. 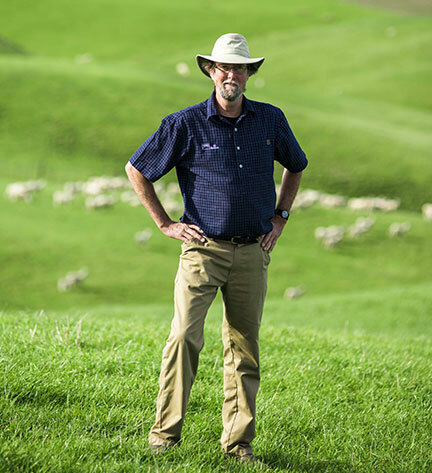 We’ve been with Atkins Ranch since the beginning and our focus aligns with theirs: grass-fed lamb raised in a pure, natural environment and handled well. We don’t feed our animals anything we wouldn’t eat ourselves and we take care of them with the utmost respect. We know this produces a tasty, healthy product, and that’s what people want. My single biggest satisfaction is producing a perfect lamb for market. We strive to make our land as good as we can. We’ve been lent it to look after and it’s our responsibility to constantly improve it, for the next generation. On our ranch, everything is handled quietly. When it comes to our animals, less is more. 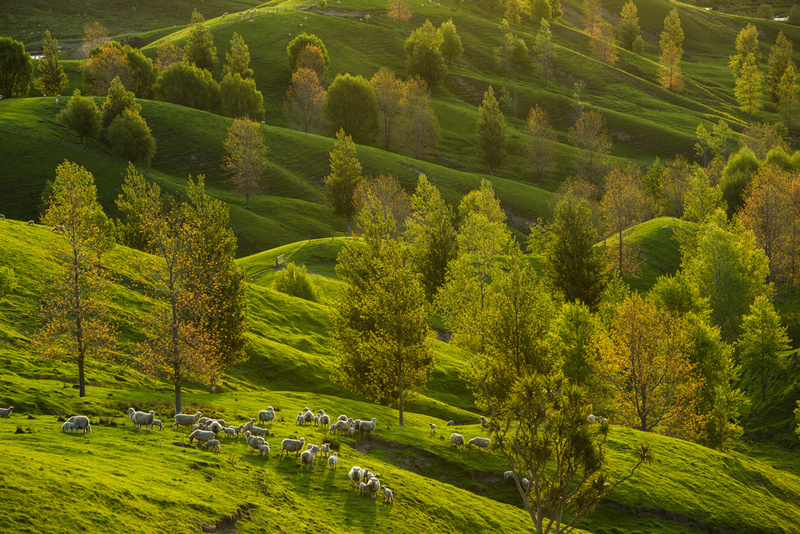 We believe great lamb comes from sunshine, good quality pasture and pure, fresh water. It’s quite simple really. It’s hugely satisfying creating a product that we’re proud of. That’s what gets us out of bed every day. We’ve been supplying Atkins Ranch for over 10 years. They really understand the marketplace, who is eating our lamb and what those people want. 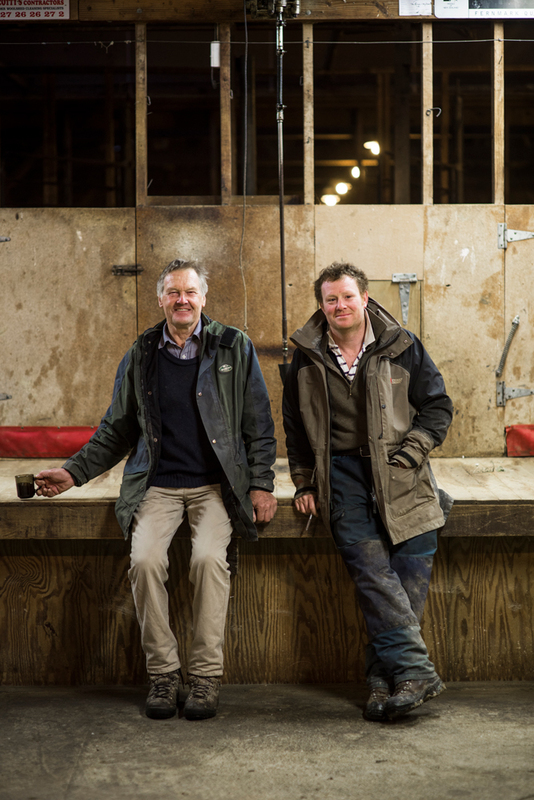 In a job that comes with many variables and aspects you can’t control, it’s a great feeling to achieve something you can have direct control over – producing lamb that has been treated nicely and tastes great – we’d like to think it’s something we do very well. 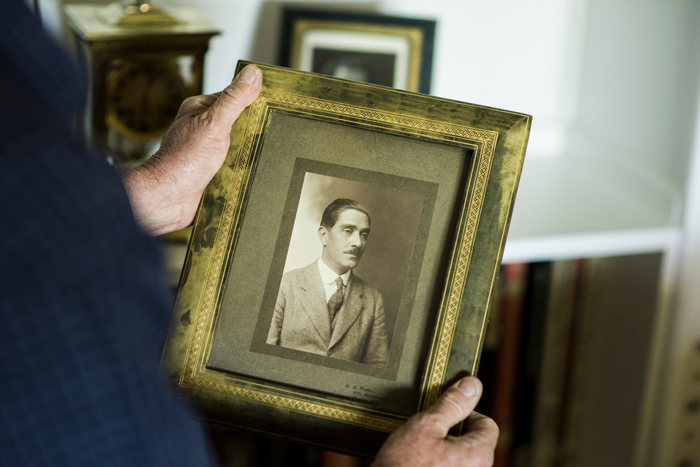 There’s rich ranching history in our family. My ancestors, John Milsome Jury (an early settler) and Te Aitu o te Rangi (a local Maori girl), married and started tending the land. Now Susannah and I work the land and raise our children here. 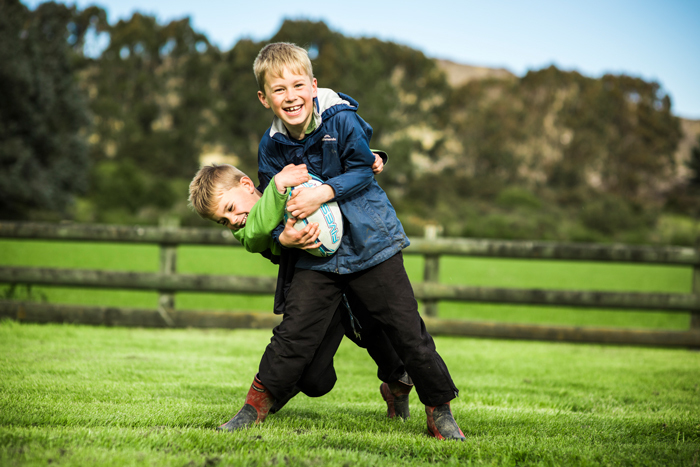 The ranch is a great place to grow up. It’s a place where kids can be kids. We would like one of them to take over and be the 7th generation here, but ultimately, we just want them to be happy. That’s what it was like for me. There was never any pressure; I was just doing what I enjoyed. 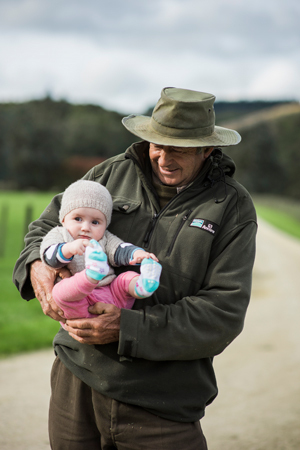 When it comes to the land, we’re custodians, we’re looking after it for the next generation. With the animals, it’s the simple things that are important. We give them shelter, plenty of food and none of the bad stuff. It works for us. And hey, we’ve been doing it for over 150 years now, so we must be doing it right!